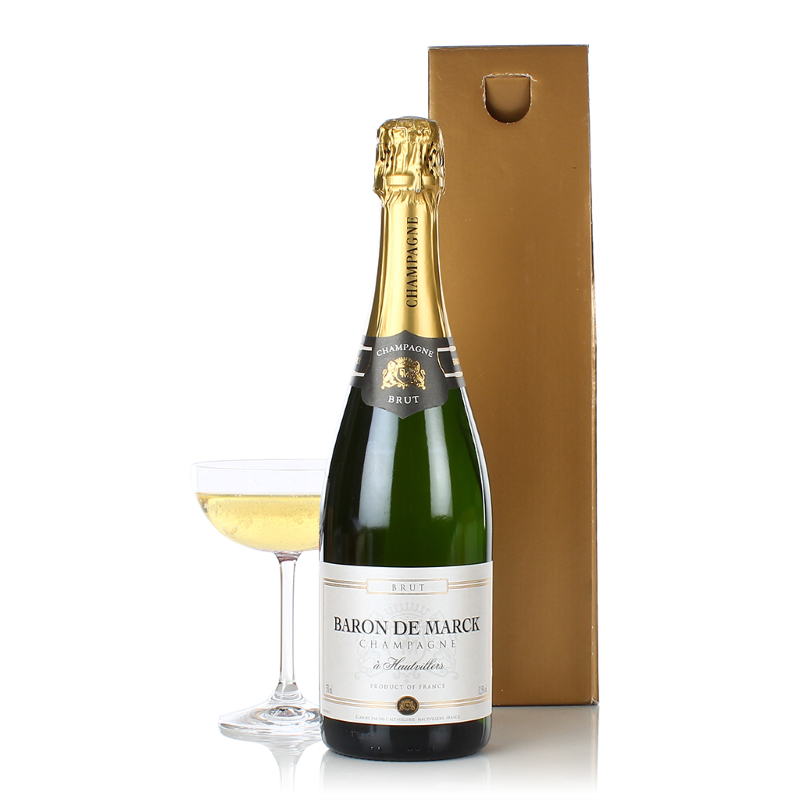 An ideal gift to send Christmas greetings to customers, colleagues or as a sparkling surprise for friends and family. This bottle of Baron de Marck Champagne is stylishly presented in a gift box. By adding this product to your basket you are confirming that you and the recipient of the product are over 18. View the product's Nutritional, Allergen and "Back of Pack" information here.